Family and group ski and summer holiday accommodation in our Chalets at Pamporovo Village.(25). ideal for a fantastic family or group ski vacation on a budget. Secluded holiday village in the forest. Pamporovo, Bulgaria. It is "possibly the best value place in the world to learn" (Neilson). wood. The children think they have arrived in Narnia. In summer combine visiting this fairy tale place with a week on the Greek Aegean - we are within 100km of Kavala or the island of Thassos is a lovely island. Try a Multi Activity Holiday to the beautiful Rhodope Mountain area (including Pamporovo Ski Resort) for sunshine and relaxation as well as an extensive array of adrenaline and leisure sports activities. Our Activities Centre provides adventurous activities to suit all levels, and will appeal to friends and family, as well as couples and solos. We can also provide excursions for you to admire the magnificent scenery and for the cuture vultures. In other words, a holiday to suit all ages and to suit the passive to the adrenaline junkies. Neilson say Pamporovo is "Quite possibly the best value place in the world to learn to ski". Certainly, in my personal experience, the tuition for both skiing and snowboarding is absolutely excellent with English speaking instructors. It is also very cheap compared to anywhere else. The resort is situated in the heart of the Rhodope mountains surrounded by pine forest and according to Crystal Ski is "like skiing in Narnia". It is a very pretty, Christmas card picture ski resort area. It is more Canadian in appearance than Alpine. There are gentle slopes for the beginners. Pamporovo Centre has a small selection of shops, taverns, bars and restaurants and an inexpensive apres-ski scene. We like Affordable skiing Excellent tuition for beginners and children. Plentiful choice of accommodation all at value prices. Some ski-in/ski out apartments. Rare long queues (except New Year). Fast lifts and modern infrastructure. Good group holiday for families and beginner and intermediate skiers. Not a great deal for non skiers. (But there is ice skating, dog sledging and snow tubing). Limited for experts. Food in hotel establishments is not very good - and customer service is not fantastic. Better to self cater or eat out. Pamporovo is situated in the heart of the Rhodopi mountains about 85km from Plovdiv (Bulgaria's second city) Airport PDV served by Ryanair and charter flights. Try Charter Flight Centre. Sofia (SOF) is bigger and about 250km distant. Sofia is served by many airlines including Easy Jet. Try the normal cheapflights.co.uk/easyvoyage.co.uk for price comparisons. Flights into Kavala (about 99km) (KAV) might also be worth considering. Airport transfers to Pamporovo can easily be arranged and most establishments provide a ski shuttle service to the slopes. Many people hire cars, especially 4x4. Prices are competitive. Driving times from Plovdiv are about one and half hours, from Kavala about 2 hours, and from Sofia about 3 and half-4 hours. Few people actually live in Pamporovo. The centre developed as a resort. This is the hotel/restaurant/tavern/bars/shops area. There is also a plentiful supply of apartments and chalets available for holiday lets winter and summer. Pamporovo experienced a building boom, but is quite spread out. It is much less developed than Bansko, but the supply of accommodation still exceeds the demand (except during the New Year period) so there are good deals available. There are plenty of places to visit nearby such as the Smolyan Lakes (take the chair lift). In summer visit the Wonderful Bridges and Bachkovo Monastery. There are wonderful waterfalls at nearby Smolyan and the Devin Spa is famous. There are also the Devil's Throat Cave and spectacular Yogodina caves. Pamporovo has a soft winter climate with an average of about 120 sunny days. Yet snow cover is generally good - especially compared to other value destinations outside Bulgaria such as Poina Brasov in Romania and Kranjska Gora or Bled in Slovenia. Snow cover in 2012 was exceptional (perhaps unusually) beating Bansko for most of the winter. It even beat the snow cover for the Swiss and Austrian resorts and those in the USA. Snow cover in 2013 was very good as well. Pamporovo resort altitude is 1650M and temperatures average a pleasant -3C. Ski season is mid December to early April. Average snowfall 1.5M. During 2012 the upper slopes were covered by nearly 3 M of snow, and even over 200cm snow cover on the lower slopes. The peak is Snejanka (Snow White) is at 1926M.There is virtually no risk of avalanche. The slopes with overall length of 37km suitable for all ages and abilities, but being mostly famous as an excellent choice for beginners and intermediates. There is a preponderance of green and blue runs, and a few reds and a black mogul run. The resort boasts a new snowmaking system composed of 80 snow cannons covering 90% of the ski runs as well as a new 3740m long ski run serviced by unique 6-chair open lift. Queuing is rare due to a new up-to-date system of rope-ways, a product of the famous Austrian company "Axess" with capacity of 11,600 persons per hour. For the snowboarders there is a new 100m long half-pipe run, which together with the LED-lighted night run complement the ski magic. The ski runs and gently carving slopes are suited for snowboarding and there is the Pamporovo Fun Park. The resort is suitable for cross country skiing and the overall length of the route is 25km. Studenets to Mugla Village NIGHT SKIING Since the beginning of Ski Season 2010/2011 Snezhanka 2 Ski Run, famous also as the wall, offers excellent conditions for Night Skiing. Length: 700 meters Displacement: 285 Category: ADVANCED, suitable for upper-intermediate and advanced skiers Lifts: Tow Lift /Anchor/ Lighting: modern LED-light technology, providing good visibility even in foggy weather Opening hours: 17:30 – 22:30 For the Beginners Ideal with choice of green and blue runs. The gentle profile of the mountain with its rounded slopes and summits makes Pamporovo particularly suitable for beginners. For the intermediates Choice of blue runs starting from peak at Snejhanka 1926km. Choice of chair lifts from Ski Centres 1 and 2 and Middle Ski Station of Studenets. More ski runs and lifts are being developed presently. The one in Stoikite completed for the ski season 2008 - 2009. is six-seat chairlift made by famous French company with capacity of 2 400 people per hour -116 chairs of 6 seats each, with length of 2992 meters and is one of the most modern ski facilities in Europe. For the experts "The Wall" Black Mogul run. Snezhanka Free Ride and Snezhanka European - used for international competition. To be honest, experts might find Pamporovo a bit limiting. Overall length of slopes is 37km compared to 425km Paradiski area of combined French resorts La Plagne and Les Arcs. Hone your skills in Pamporovo, and if you live to ski or snowboard - and you can afford it - move on. For the snowboarders Pamporovo Fun Park. Choice of wide gently rounded slopes ideal for snowboarding. New half pipe snowboarding run. For children "The best value place in the world to learn." Neilson. Exceptional. But limited child minding. Learn here but not suited to under 4-6 years of age. Families can learn together. Husky Dog sledging and snow tubing. Winter activities Motor sledges – The resort offers many opportunities for walks and rides among the beautiful forests in the mountain. One of the most exiting winter activities is the motor sledge ride. This sport can be practiced outside the official ski zone along the hills and meadows in the mountain. After 5.00a.m. professional guides usually organize motor sledge tour, presenting some of the best terrains suitable for this sport. Ice Skating – Ice skating is also offered in the resort, on an excellent ice rink, accompanied by the sounds of pleasant music. The ice skating rink is situated right in front of the après ski bar and the shopping centre of Perelik Hotel. Individual ice skating lessons are also offered. Dog sledging Interski Pamporovo Experience the amazing athleticism of our Bulgarian Huskies, by joining us for an exhilarating workout along the magnificent forest trails.You will be able to ride as a passenger behind a team of Bulgarian Huskies and enjoy watching the dogs working amid beautiful scenery in the Rhodopi mountains. Price is 20 lev (BGN) per person, maximum 2 adults and four children per ride. Snow Tubing Great fun - anyone can sit in a giant rubber ring and whirl down a slope! Apres Ski Pamporovo has apres ski with value prices. Pamporovo mountain rescue service: (+359) 309 58336; (+359) 1475; NB Medical & dental service: The Emergency SKI PATROL service is available 24 hours a day. Ambulance and clinic (with doctor and nurse) are available, as well as first aid, on all ski slopes. Fully equipped and functioning hospitals are available in Smolyan and Chepelare. Highly qualified dentists are available at Pamporovo or Chepelare. Pharmacies are available at the resort. Some medical and all dental services must be paid in cash to the doctors (clinics). They should provide the necessary bills, receipts and invoices describing the service and the cost, so that you can claim back the expense from your insurance company. It's recommended you call your insurance company and inform them in case of injury. Please follow their instructions. Mountain Activity holidays in summer. all for a fraction of what you would pay in the Alps. For those wanting to see more of Bulgaria, why not consider a two centre summer holiday with a week at Chalets at Pamporovo Village and a week on the Black Sea coast. Most car rental firms will allow a pick up and drop off at different airports. If you are thinking of a 2 centre holiday, we are not far from Kavala - about 99km so you could cool off after a week on the lovely island of #Thassos. While Greece’s economic miseries may continue, there’s never been a better time to visit, with perceived instability deterring many regular visitors. As a result Greece’s normally packed beaches will be far quieter than usual this summer, more welcoming than ever and island economies are likely to be far cheaper especially if you travel outside of peak season. 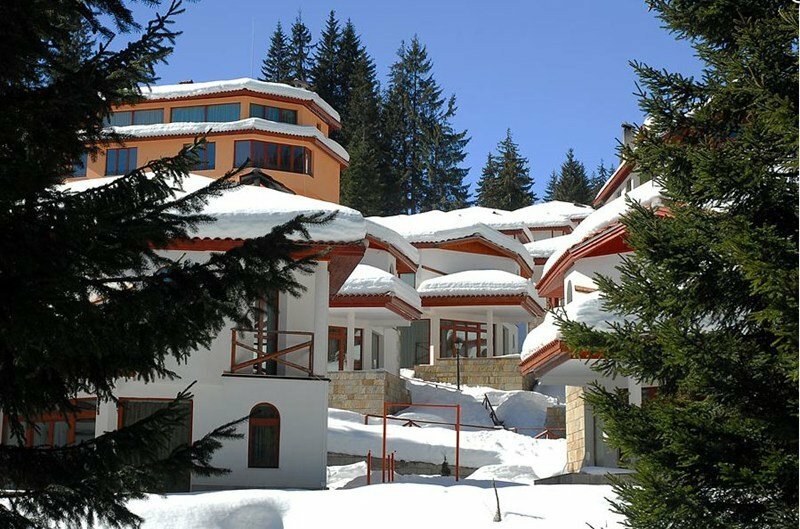 Pamporovo provides affordable accommodation and cheap skiing and snowboarding.